Y’all know Catalog Living, don’t you?! It gives a whole new meaning to reading home decorating magazines and catalogs. In Catalog Living Gary and Elaine are a couple that actually live their lives in the homes pictured in the magazines, and Gary and Elaine have a wonderful sense of humor. 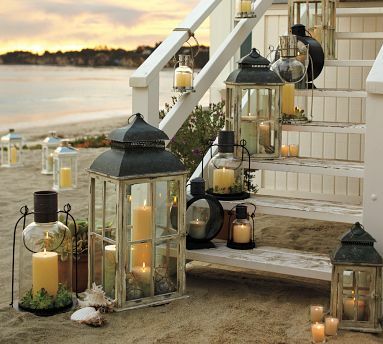 Gary and Elaine watched in awe as the lanterns performed their annual ritual of emerging from the sea and making their way up the back steps. I love the captions they come up with. I've never heard of Catalog Living. But I like their sense of humor.